Do you like to be first in the know when it comes to new beauty? If so, I know that you’re really going to enjoy reading this post. Alongside a few brand spanking new products, some of your French favourites are back – and they’re better than ever. Re-imagined to fit the needs of the modern day man and woman, you can 100% expect to find your new-found favourite in this treasure trove of recent launches. This mask is clinically proven to unclog pores and control shine, without stimulating your oil glands. 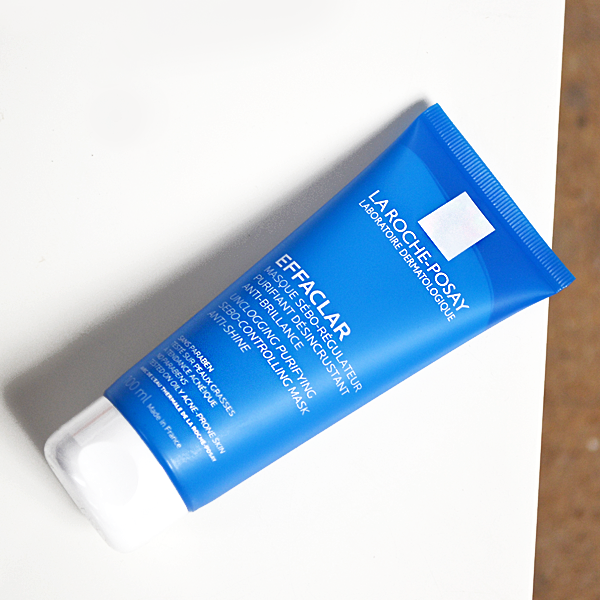 It’s as if La Roche-Posay have answered our blemish-busting prayers with this one! 9/10 dermatologists recommend this mask for oily and blemished skin, and I couldn’t agree with them more. Efficient yet gentle, it’s surprising how calming yet productive this mask actually is! Alongside a plethora of pore-perfecting agents, kaolin and argilla clays deeply cleanse your pores for a weekly detox. What’s also impressive is that the Effaclar Mask features 5% panthenol B5, which reduces the risk of an overproduction of sebum, to your skin oil-free and hydrated following every application. Its 100% mineral UVA/UVB formula protects even the most sensitive skin types! 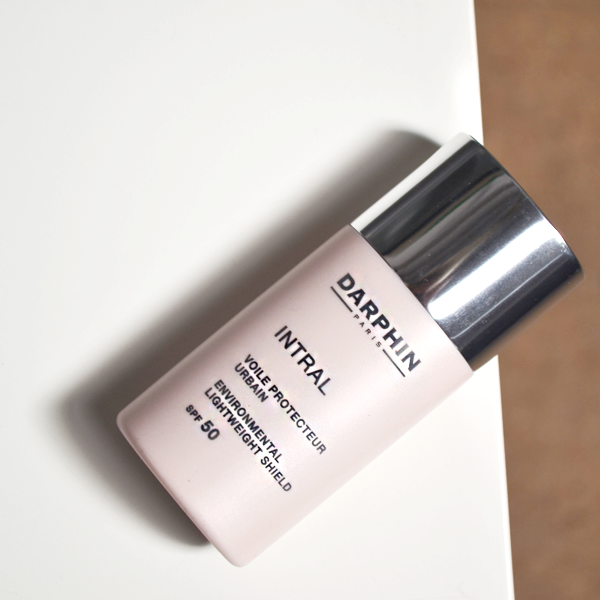 City dwellers, the Darphin Intral Environmental Lightweight Shield SPF50 is your new favourite pollution protector. Suitable to protect every part of your face and neck (even your delicate eye area), this complete mineral SPF protection will keep your skin shielded from environmental damage, whilst providing your complexion with essential, nourishing minerals. Your skin will look healthier and brighter by the morning! Big news! 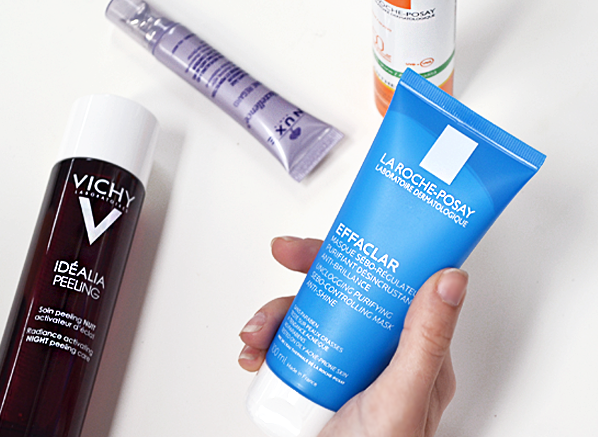 Vichy Idealia Peeling is overnight peeling care that is specifically optimised to suit sensitive skin! Using the power of fruit acids, any sallowness and dull tones are diminished in the most gentle way possible. Interestingly enough, blueberry and fermented tea extract (big time anti-oxidants) play a huge part in removing the dead skin cells from your skin, creating a glowing, more even appearance to your skin’s texture by morning. This 3-in-1 eye cream is applied through an ultra-cooling decongesting applicator that smoothes, illuminates and firms. 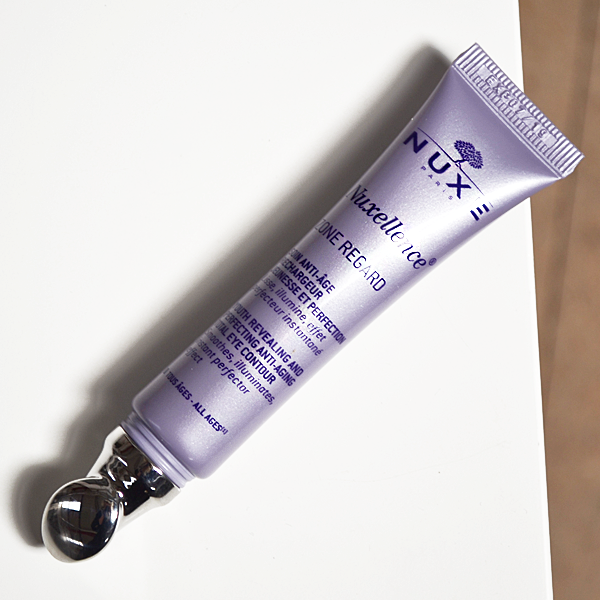 Tired eyes need Nuxe Nuxellence Total Eye Contour! Packed full of youth-restoring ingredients and a total of 10 anti-ageing patents, this all-rounder eye cream creates has an instant perfecting effect. Fitted with a special, metal applicator that cleverly decongests your eye contour, you can expect dark circles and puffiness to be diminished when you use it every morning and evening. 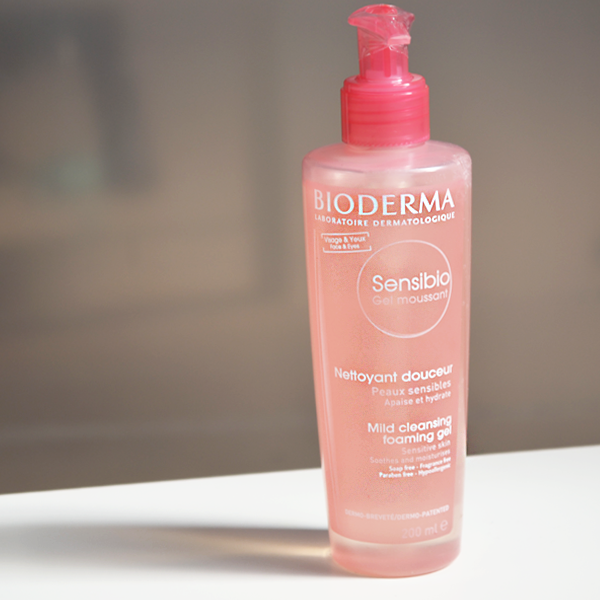 This super-gentle face wash is suitable for every skin type, it can even be used all over your body. Sensitive skin? This is your perfect facial wash. What’s special about this Mild Cleansing Foaming Gel is that instead of stripping your skin of essential oils and moisture, each wash actually helps to rebuild the tolerance levels in your skin, making it easier for your complexion to deal with the effects of hard water with its lipid-restoring benefits. It’s the easiest and most effective way to protect your skin from city sun, pollution and environmental damage. Talk about a genius product launch! For women like me, it’s an essential step for protecting my skin when out and about. I love the way it doesn’t interfere with my makeup. Unlike most SPF sprays, this water mist dries almost instantaneously, keeping your skin beautifully matte, hydrated and protected, all at the same time. 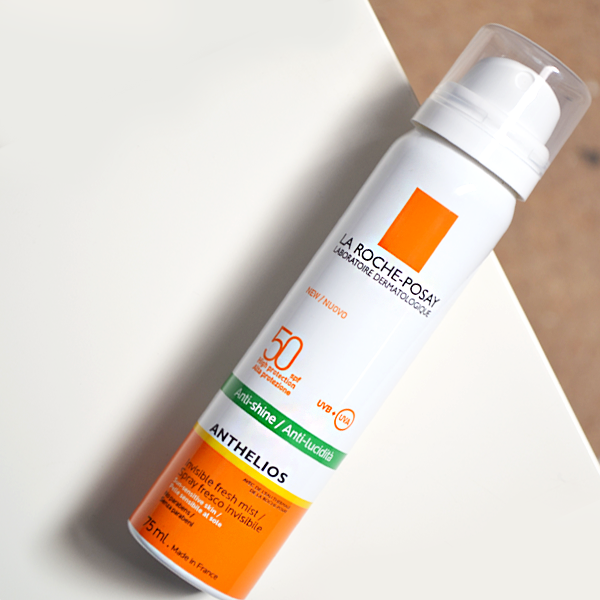 If you only buy one thing today, I suggest you treat yourself to the La Roche-Posay Anthelios Anti-Shine Invisible Fresh Mist Spray SPF50+, your skin will thank you later! This entry was posted on Monday, April 3rd, 2017 at 12:23 pm and is filed under French Pharmacy, Skincare, Skincare Edit. You can follow any responses to this entry through the RSS 2.0 feed. You can skip to the end and leave a response. Pinging is currently not allowed.